I have tried with other client tool as well. you can change the encryption of the password like this. 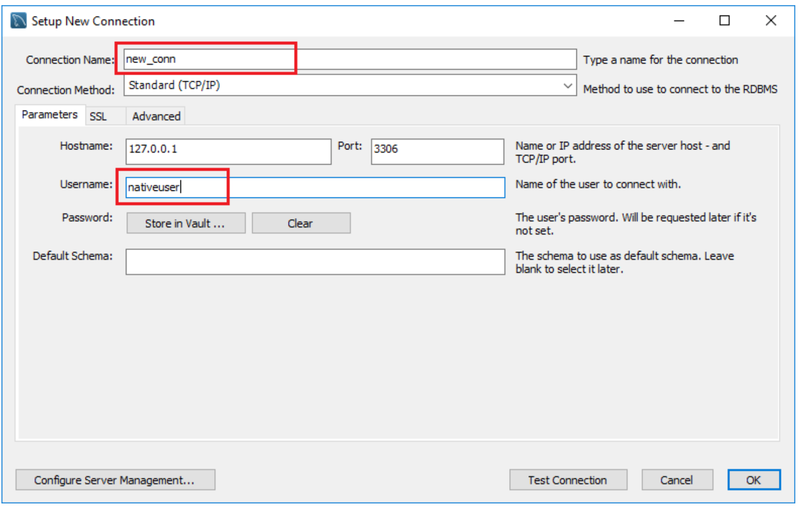 Restart the mysql server to take the changes in affect and try connecting via MySQL with any mysql client. It means your user needs the above plugin. So try creating new user with create user or grant command after changing default plugin. then new user need the native plugin and you will able to connect MySQL. This post has been locked while disputes about its content are being resolved. For more info visit meta. Currently (on 2018/04/23), you need to download a development release. The GA ones do not work. I was not able to connect with the latest GA version (6.3.10). It worked with mysql-workbench-community-8.0.11-rc-winx64.msi (from https://dev.mysql.com/downloads/workbench/, tab Development Releases). cd "C:\Program Files\MySQL\MySQL Server 8.0\bin"
Restart the MySQL Server and open the Workbench again. 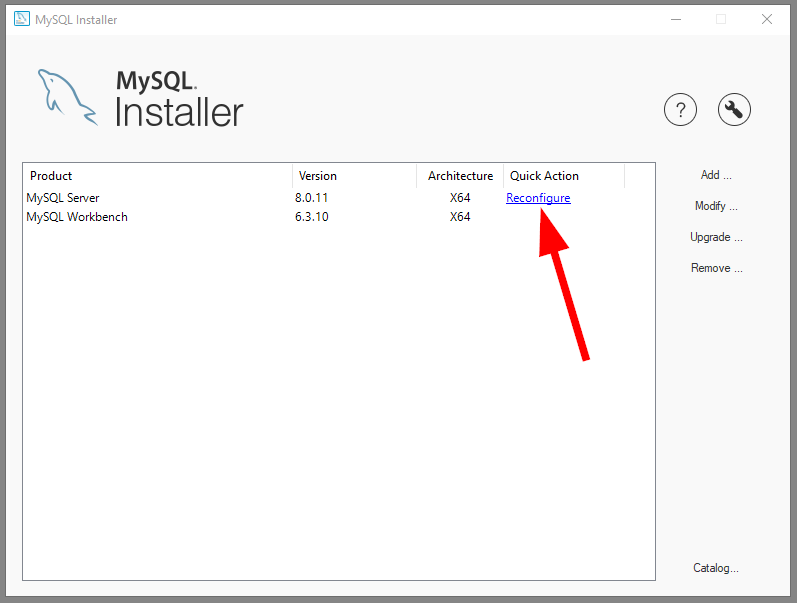 I was installing MySQL on my Windows 10 PC using "MySQL Web Installer" and was facing the same issue while trying to connect using MySQL workbench. I fixed the issue by reconfiguring the server form the Installer window. Clicking on the "Reconfigure" option it will allow to reconfigure the server. Click on "Next" until you reach "Authentication Method". 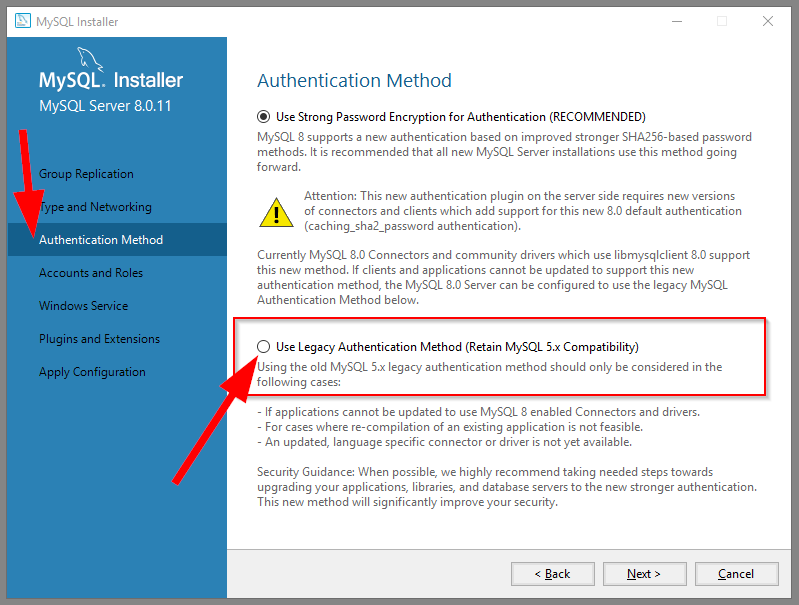 Once on this tab, use the second option "Use Legacy Authentication Method (Retain MySQL 5.x Compatibility)". Keep everything else as is and that is how I solved my issue. or You shoud use MySQL Workbench 8.0.11. 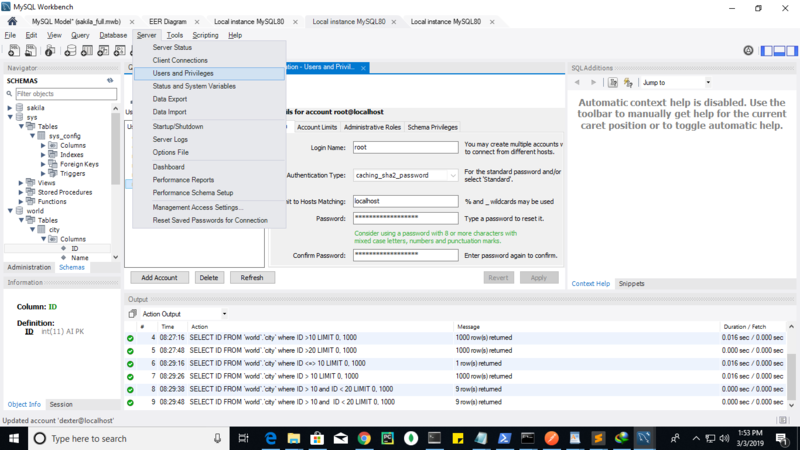 -Then, you can access Workbench again (you should be able to do that after creating a new localhost connection and using the new credentials to start using the program). For those using Docker or Docker Compose, I experienced this error because I didn't set my MySQL image version. Docker will automatically attempt to get the latest version which is 8. If you are specifically trying to use a Docker image with MySql 8+, and then use SequelPro to access your database(s) running on that docker container, you are out of luck. My setup is sequelpro 1.1.2 using docker desktop 2.0.3.0 (mac - mojave), and tried using mysql:latest (v8.0.15). I was facing the same issue and this worked. The relevant line there is entrypoint. $ mysql -u zuser -pzpass --host=172.26.0.2  zdb -e "select 1;"
Here is the solution which worked for me after MySQL 8.0 Installation on Windows 10. Almost like answers above but may be in simple queries, I was getting this error in my spring boot application along with hibernate after MySQL upgrade. We created a new user by running the queries below against our DB. I believe this is a temp work around to use sha256_password instead of latest and good authentication caching_sha2_password. For me this started happening because on a project, I was using Docker image mysql:latest (which was version 5, and which was working fine), and during a later build, the latest version was switched to version 8, and stopped working. I changed my image to mysql:5 and I was no longer getting this error. 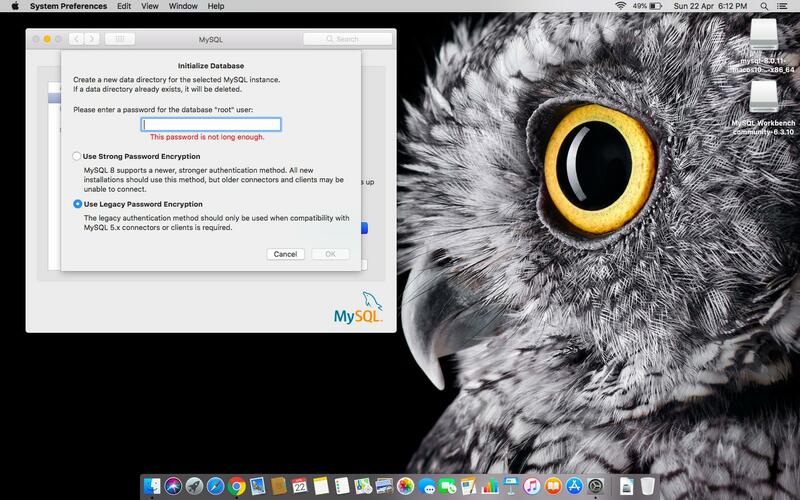 MySQLWorkbench 8.0.11 for macOS addresses this. I can establish connection with root password protected mysql instance running in docker. First of all, You need to enable MySQL 5.7 community release yum repository on your system. The rpm packages for yum repository configuration are available on MySQL official website. Use on of below command as per your operating system version. As you have successfully enabled MySQL yum repository on your system. Now, install MySQL 5.7 community server using following commands as per your operating system version. 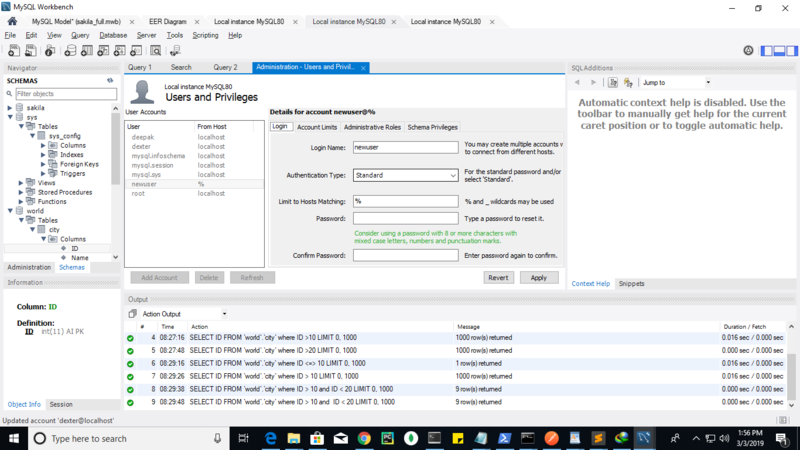 Rolling back to the previous installations (to MySQL Community Server 5.7 and Workbench 6.1)and setting up new MySQL credentials worked for me! Not the answer you're looking for? Browse other questions tagged mysql database mysql-workbench mysql-8.0 or ask your own question. How to connect mysql workbench to running mysql inside docker?